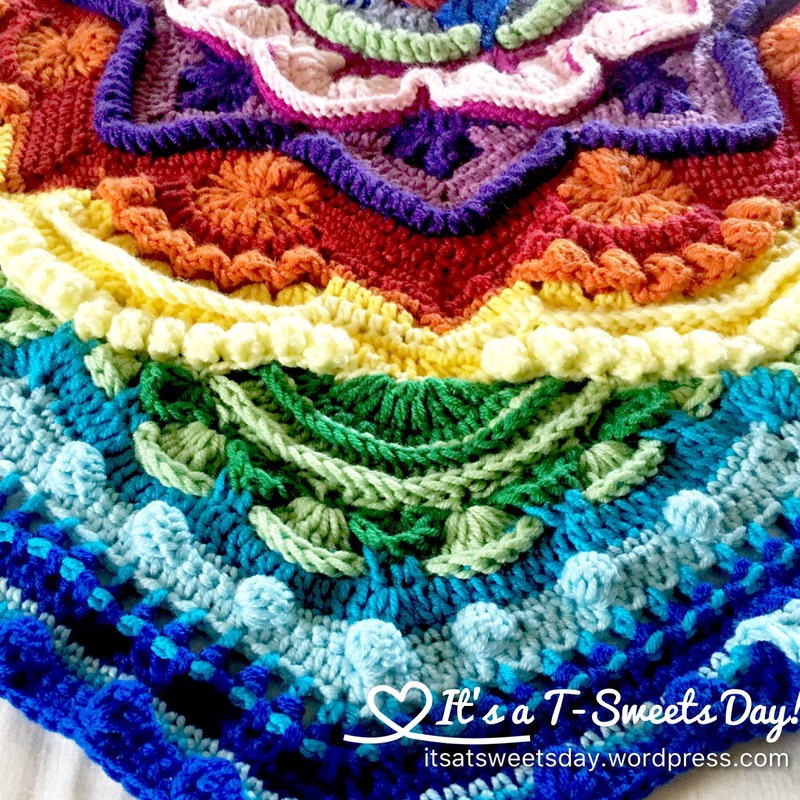 Mandala Madness – part 4-7 – It's a T-Sweets day! 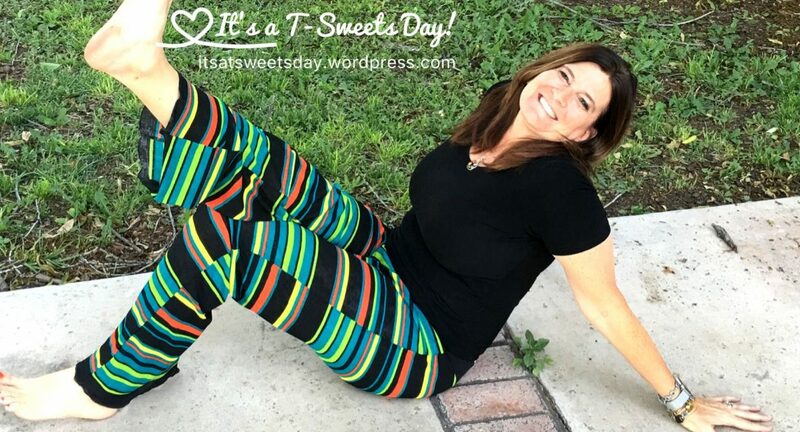 Published on August 16, 2016 August 17, 2016 by Tracy @ It's a T-Sweets Day! Woo Hoo! It is looking so pretty! 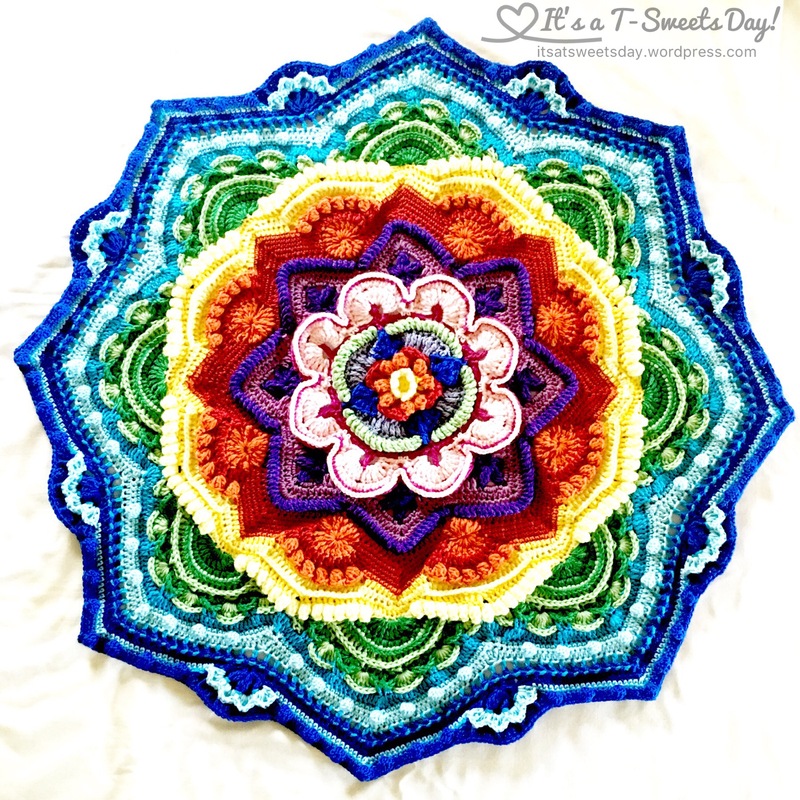 I am making Helen’s from crystals and crochet’s Mandala Madness. Best of all, it is a FREE pattern! I have totally been enjoying each and every round. I have learned a few new techniques and believe it or not, I have made a few mistakes:) Lol! I love the feel of the Scheepjes yarn. It is very smooth and light to work with. The mandala is so soft as well. I bought the yarn pack designed for this project from Wool Ware House in the UK. They shipped it to my home in sunny Arizona. Yea! 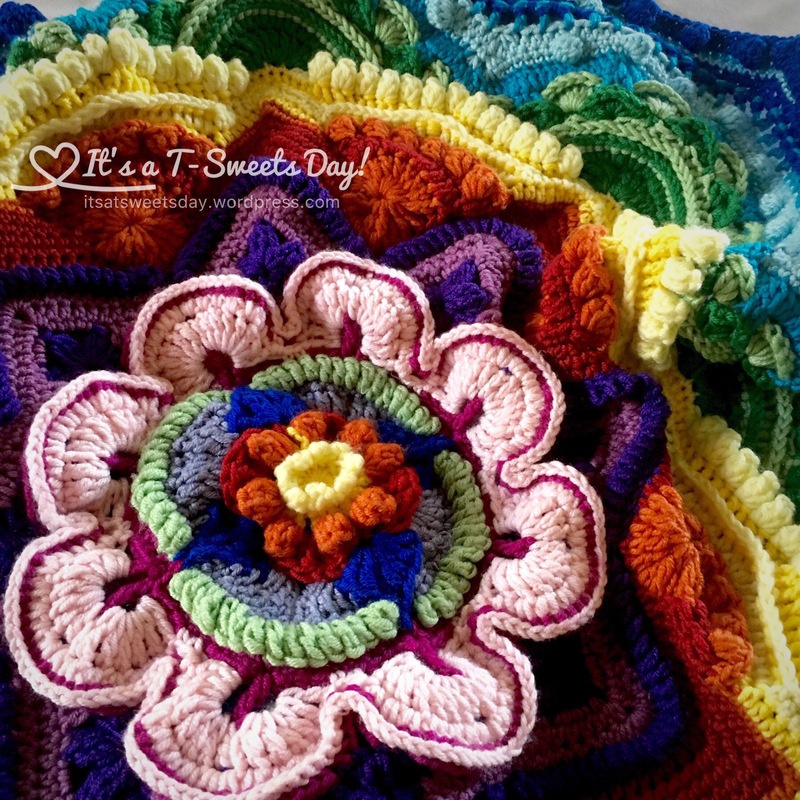 I have been having an especially fun time crocheting along with At Margareta’s Haus. We have been having a good time comparing notes. I’m glad she hasn’t been perfect either, I feel a little more normal:). Her colors are so fun as well. I may have to do another with different colors from home…. I think I will give this blanket to my daughter in law #1 for a Christmas present. All of my other kids have afghans, quilts and then some. She will cherish it, I am sure. She is a real SWEET-heart! It looks lovely. 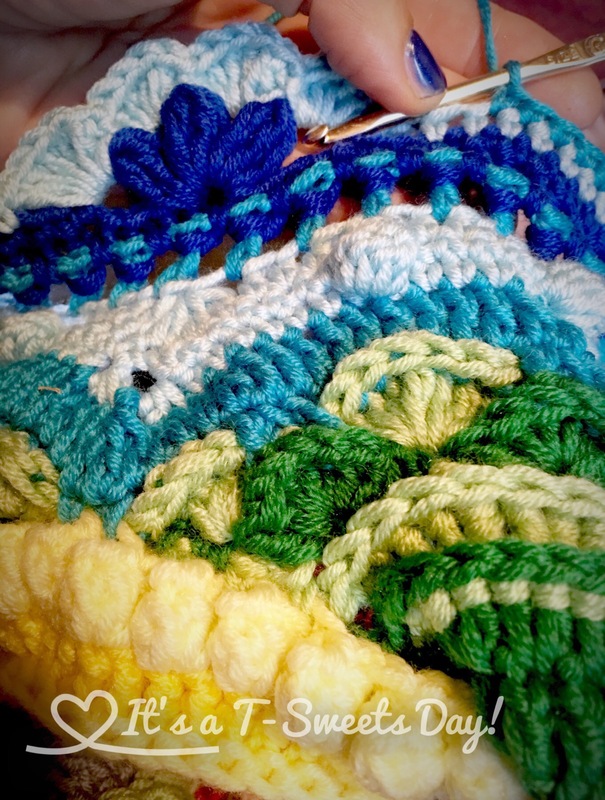 I am having fun crocheting with you as well! It is a learning experience. I have never worked with this technique. It’s nearly done, but looking at it, now I’m wondering about the size. It must be pretty large to compare to an afghan. Thanks for posting this idea! It’s coming out so beautiful! 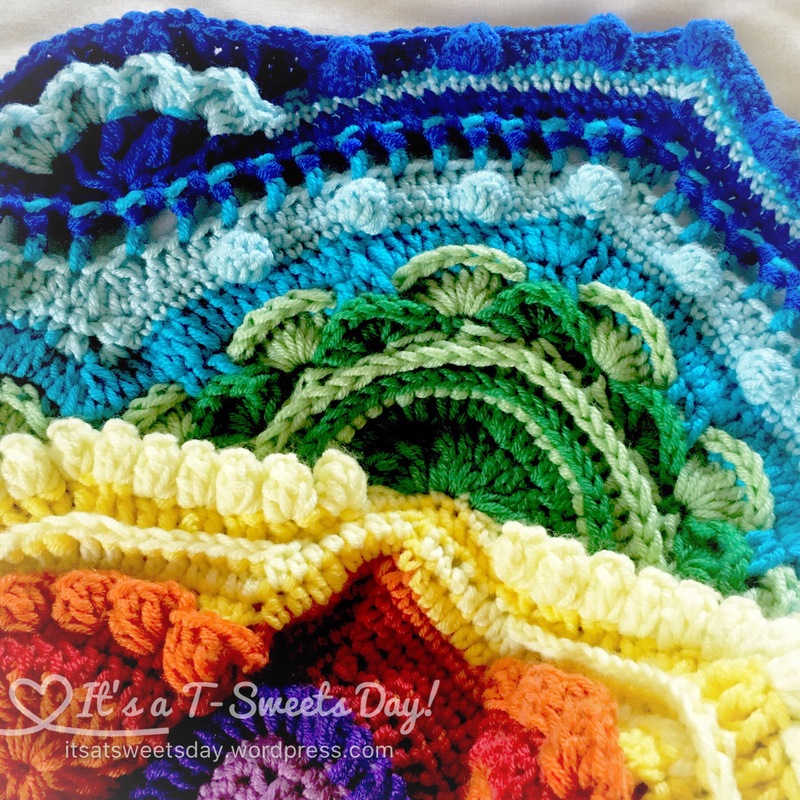 I’m tempted to try it with crochet cotton since I have all these colors and it will be smaller. Great idea Laura:)! Come and join Margareta and I. It is so much fun. Each round is a new beautiful adventure:). Hello Tracy, I am on part 8 and have had to resort to the video by Esther. She goes a great job. The twist stitches are so confusing specifically their placement. Will try to post a picture once I am done with part 8. How is yours coming along? Hi Margareta! I have just finished part 8. I agree that it was tricky! Even after I figured it out, that sneaky yarn would split or slip off the hook!:). I had to take it very slow… It is refreshing to be challenged so often. — you are speedy! I will try to keep up with you:). What is your goal for next week? I was trying to do one part a night but as the Mandala gets larger that gets harder to accomplish. I would be happy to complete through part 10 by next Sunday. Sounds like a good goal. Let’s do it! I am so glad to be doing this with you. You keep me motivated! So fun:)!! I am enjoying your company as well. We can do this! Can’t wait to see your updated photo. Let’s plan on both posting our photos next Saturday! Good idea! But I try not to post on Sunday. I will post late Saturday night. Is that ok with you?